Moped Forum has been upgraded, please stop by! Due to technical problems, the database changes made between April 23 and June 23 are lost. If you have posted a classified ad, review, etc during this period, please re-submit it. what it was like cruise downhill on your bicycle ? The freedom, the wind, the exhiliration ? Well, riding a moped feels like that all the time! Moped Owners entries, as well as upload pictures. Starting 20 Oct 2000 Moped Messages is database-driven. We now offer Free Online Auctions for mopeds, scooters and go-peds®! Drop me a line if you find any problems. If you want to enjoy yourself, have wind in your hair, see the world around you, relax, find peace of mind and have more fun than you ever did, get a moped! We've just reached 100 users in Moped Mail! Mixing different 2-cycle oil brands - safe or not? Mopeds for Sale section is working again! Info from Andover Cycles - new scooters are coming to U.S. The Info/Diagrams, Manufacturers, Importers, Clubs, Moped Domains, Books and Fan Pages are now in Moped Resources section. "Key West is really like its own country and normal laws do not apply here. Everyone is laid back and not in a	hurry. 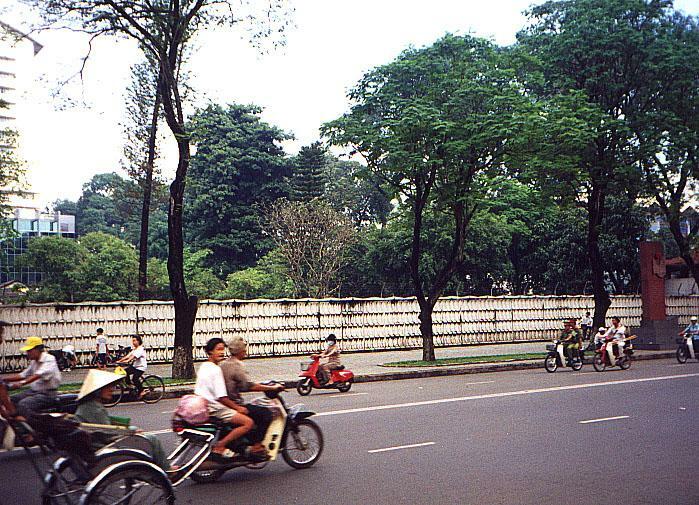 People ride bikes and mopeds everywhere." New service - Free Moped web-based Mail! The Moped is not only a mode of transportation but a spiritual awakening. You become the road, you are one with the road. Mopeds are so cool that it hurts. "When riding, the Decepticons (Moped Army) are often not given respect from other motorists. People shout taunts from their cars and yell things such as 'get a real bike' or 'get off the road.' 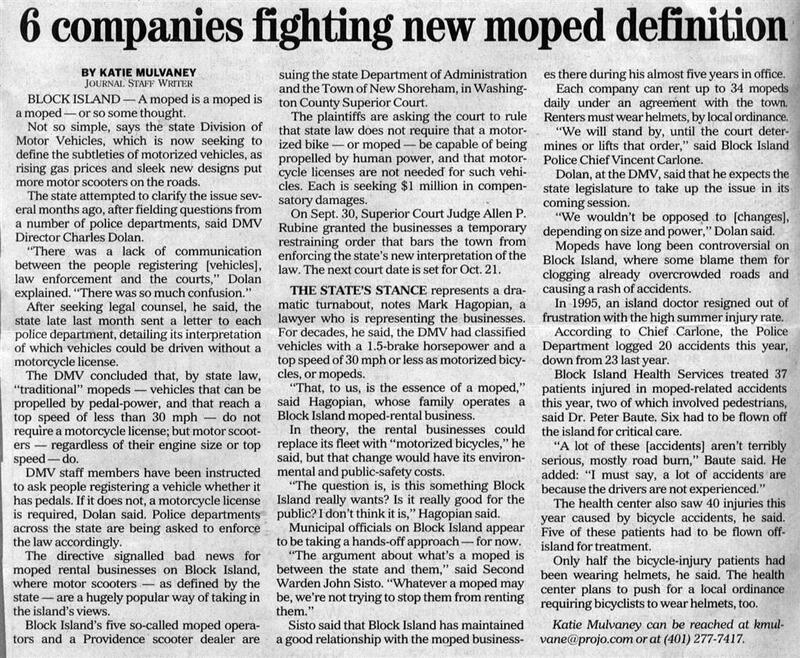 When these comments are made, they are taken very lightly because the Decepticons believe that their transportation experiences are much more pleasurable than those of other commuters..."
"Mopeds are Dangerous" committee is trying to restrict our rights! ...it looked so lonley there on the grass. It definitely needed some love. I used to bom around on a Moto Graziella with my Dad as a kid. A wave of nostalgia hit me, and $25.00 Canadian later, I was peddaling my Honda home!!! I changed the spark plug, cleaned the carb and vrrrrm!! There's no feeling in the world like it!!! I love my ped so much it almost hurts!! Okay I am getting a little over dramatic, but you gotta try this to believe the feeling, and strees relief. If there were legislation that made owning a moped mandatory, I am sure there would be a world peace, no road rage, and true ZEN world wide! New Moped club - Solex Owners of America ! Anyway, if you've never ridden a moped before, you simply don't know what you are missing. Like a bird that haven't yet grown wings and thinks that there's nothing special about flying - but once it learns to fly, it knows how much joy it is! Mever mind the fashion. Forget what others say. You OWE it to yourself. Nobody's looking. Just give it one try - and your world will never be the same. Newsflash! Kinetic moped is now available from Damark catalog! Why ride a moped ? like swimming in a pool wearing aqualung. Missouri helmet law has been defeated!!! riding any motorcycle if you are over 21!  05/27/98 Moped Mailing List is back online!